The Middle Years Focus on IT (MyFIT) program creates pathways for middle school students to build the skills needed for tomorrow. Regardless of the direction a student may choose to take, integrating digital and ICT skills is critical to opening doors into their future careers--early engagement for long term success. MyFIT is a Canada-wide program that can easily align to individual provincial education outcomes and expectations. This practical, hands-on experience for students promotes innovative and strategic thinking, and can create a learning pathway into secondary schools delivering the FIT program. The MyFIT Pathway is based upon 3 main competencies or building blocks. 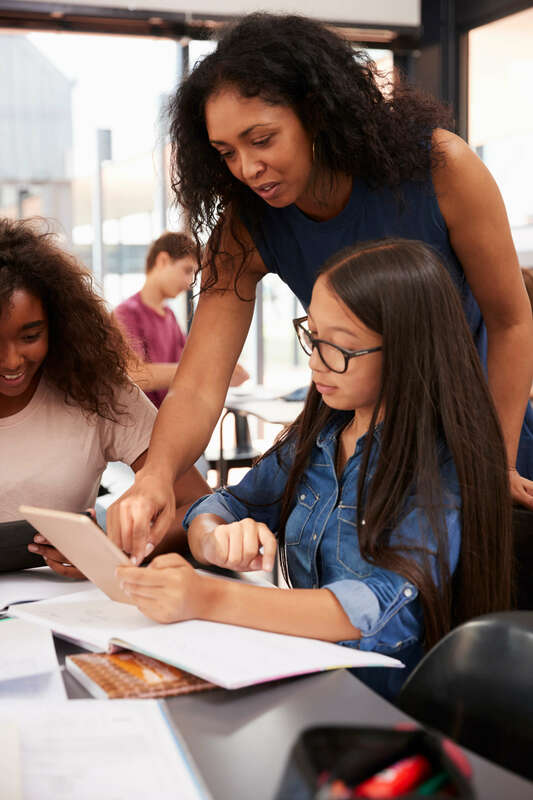 They are designed to expand the understanding that middle school students have about technology and help them build the skills they will need for the future. The MyFIT aptitudes and technological skills are applied to a real-world business scenario. MyFIT Aptitudes Focus on adaptability, analytical thinking, innovation, inquiry, interpersonal communication, problem solving, relationship building, teamwork, and writing skills. Technology/ Digital Skills Develop student ability to think creatively and critically, use digital media to communicate and collaborate, use digital tools to evaluate and use information, practice ethical behavior, and demonstrate an understanding of technology concepts, systems and operations. Business Application Help students develop their abilities in managing information, projects, and risk, as well as decision making and business application. MyFIT recognizes the efforts middle school students make towards their skills development by awarding an official MyFIT badge upon the completion of the program. We encourage students to continue their skills development as they move on to secondary schools that offer the FIT program.